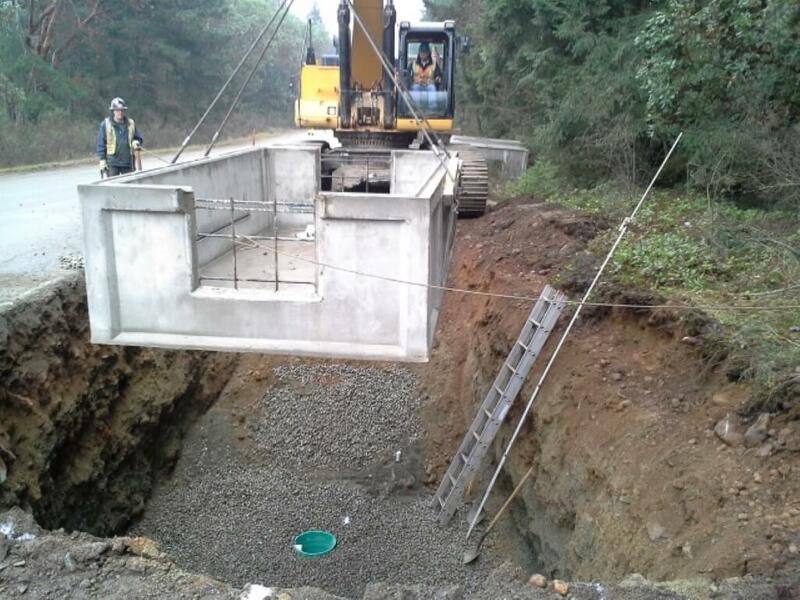 The BC Hydro South Wellington project began in early December 2014 and will be completed in March 2015. 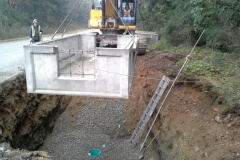 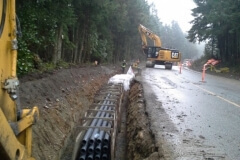 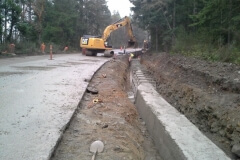 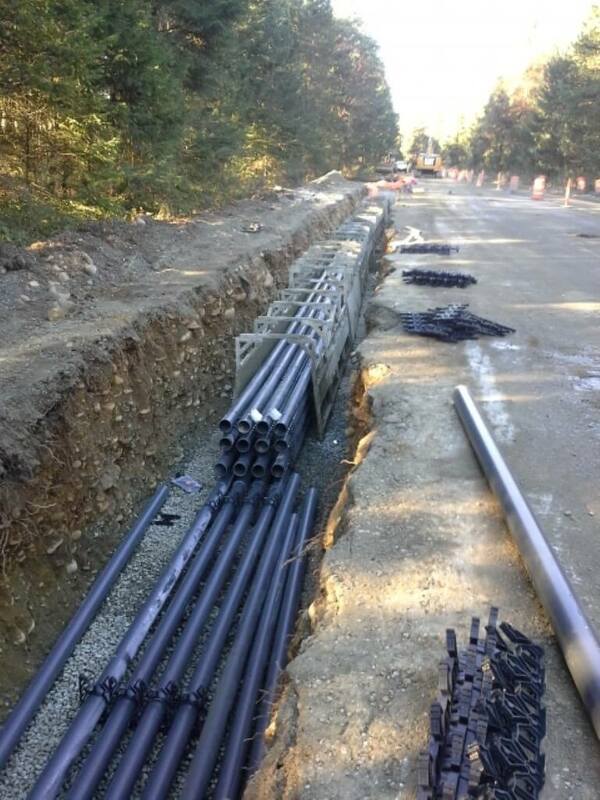 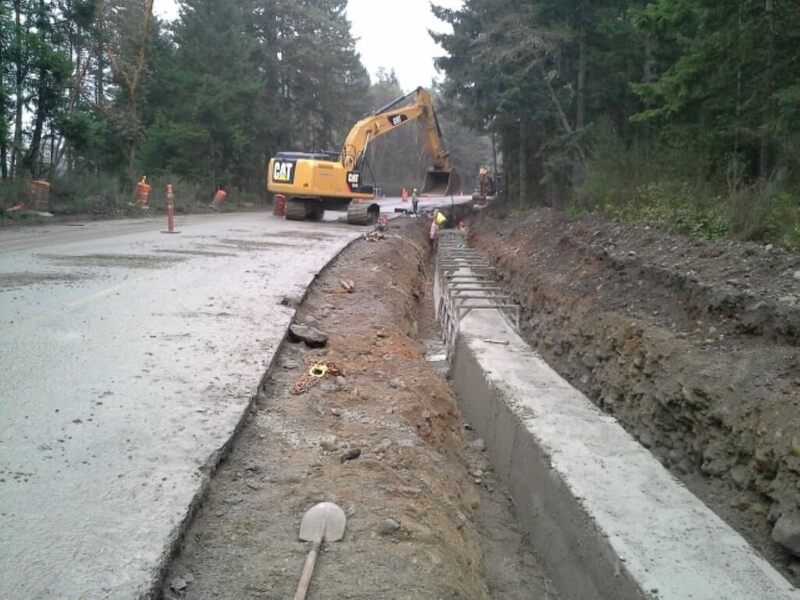 The project consists of constructing the duct bank from the new BC Hydro substation on Nanaimo River Road and includes a substantial amount of underground work where the Windley Contracting crews will cross an underground conveyor system, a main Telus fibre optic line, the South Vancouver Island Railway tracks, and the road crossings of South Wellington and Nanaimo River Road. 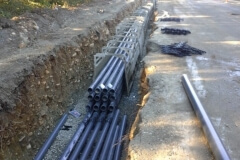 Throughout the project, Windley Contracting will install 16 ducts, 15 large precast manholes, and will pour approximately 1500m3 of concrete. 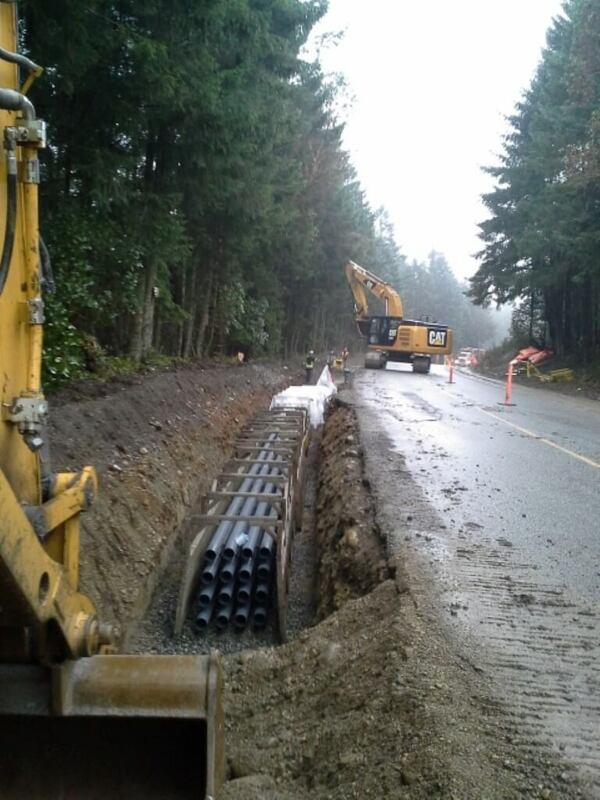 When complete, Windley Contracting will have placed over 2300m of concrete encased 5′ diameter ducts.